Below you fill find all funeral homes and cemeteries in or near Wetumpka. Wetumpka is also known as: Elmore County / Wetumpka city. Their current mayor is Mayor Jerry Willis. Zip codes in the city: 36092, 36093. Elmore County funeral flowers can be purchased from one of the local funeral shops we partner with. Some of the notable people born here have been: Lewis Jackson (coach and basketball coach), James Daniel (coach), L.C. Holt (actor and writer), and Frank Oliver (american football player). Wetumpka is a city in and the county seat of Elmore County, Alabama, United States. At the 2010 census the population was 6,528.In the early 21st century, Elmore County, long a rural area, became one of the fastest-growing counties in the state. The city is considered part of the Montgomery Metropolitan Area.Wetumpka identifies as "The City of Natural Beauty". Among the notable landmarks are the Wetumpka crater and the Jasmine Hill Gardens, with a full-sized replica of the Temple of Hera of Olympia, Greece. 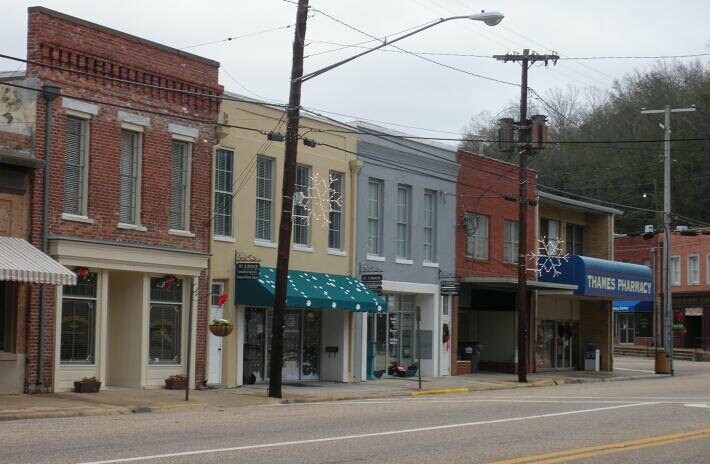 Historic downtown Wetumpka was developed on both sides of the Coosa River, and Fort Toulouse was built near it. It was reported on October 11th, 2017 that Harold Ray Redwine passed away in Wetumpka, Alabama. Redwine was 73 years old and was born in Ft Smith, AR. Send flowers to express your sympathy and honor Harold Ray's life. It was written by Flint Journal on December 6th, 2016 that Shirley Ann Murphy perished in Grand Blanc, Michigan. Murphy was 63 years old and was born in Wetumpka, AL. Send flowers to share your condolences and honor Shirley Ann's life. It was reported by Flint Journal on July 16th, 2016 that Delores Lea Wesley died in Flint, Michigan. Wesley was 71 years old and was born in Wetumpka, AL. Send flowers to express your sorrow and honor Delores Lea's life. It was noted on May 20th, 2016 that Emily Ann Horton (Lyon) died in Wetumpka, Alabama. Ms. Horton was 32 years old and was born in Cedar Falls, IA. Send flowers to express your sorrow and honor Emily Ann's life. It was reported by Sullivan County Democrat on February 20th, 2015 that Fred H Ahrens passed on in New York. Ahrens was 86 years old and was born in Wetumpka, AL. Send flowers to express your sympathy and honor Fred H's life. It was written on May 1st, 2014 that Edward III Morton perished in Granite City, Illinois. Morton was 67 years old and was born in Wetumpka, AL. Send flowers to share your condolences and honor Edward III's life. It was written by Modesto Bee on December 3rd, 2013 that Charles Edward "Chuck" Thompson died in Patterson, California. Thompson was 84 years old and was born in Wetumpka, AL. Send flowers to share your condolences and honor Charles Edward "Chuck"'s life. It was disclosed by Middletown Journal on June 23rd, 2013 that Callie P Coffey (Holbrook) died in Middletown, Ohio. Ms. Coffey was 76 years old and was born in Wetumpka, AL. Send flowers to express your sorrow and honor Callie P's life. It was revealed by Middletown Journal on March 7th, 2013 that Mary Ella Crenshaw perished in Middletown, Ohio. Crenshaw was 95 years old and was born in Wetumpka, AL. Send flowers to express your sympathy and honor Mary Ella's life. It was written by Columbus Dispatch on September 29th, 2012 that Thomas E Trimble passed away in Columbus, Ohio. Trimble was 87 years old and was born in Wetumpka, AL. Send flowers to share your condolences and honor Thomas E's life. At the 2000 census the population was 5,726. Together with Montgomery, Alabama Prattville, Alabama Millbrook, Alabama and Tallassee, Alabama the city is considered part of the Montgomery Metropolitan Area, or River Region, with a population of 346,578. The city is the county seat of Elmore County, Alabama County, the third fastest growing county in the state. Wetumpka is a city in Elmore County, Alabama County, Alabama, United States. . The official website for the city of Wetumpka is http://www.cityofwetumpka.com/. Honorary pallbearers were her grandsons. In lieu of flowers memorial contributions are requested to Seman Baptist Church, 11380 Grier Road, Wetumpka, AL 36092. Visitation was from 5-7 p.m. Oct. 25 at Gassett Funeral Home. Three grandchildren also survive Mark Osborne of Ellwood City, Leonard Carney of Venice, FL, and Donald (and Kristy) Carney of Wetumpka, AL; as well as six great ... 2010 in the TURNER FUNERAL HOME of Ellwood City, Sixth Street at Park Avenue. Listing all funeral homes in Wetumpka, Alabama so you can easily send flowers to any location (same day delivery) or find any funeral service. Ellison Funeral Home provides complete funeral services to the local community. We work with local florists and flower shops to offer same day delivery. You will find budget sympathy flowers in Wetumpka here. Our funeral flowers are cheap in price but not in value.